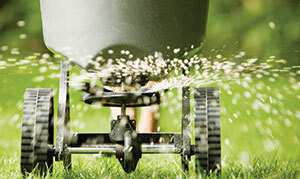 Lawn care operators (LCOs) invest a large part of their budgets into equipment like aerators, spray rigs and spreader-sprayers. According to some experts, they often miss a key component — preventive maintenance — especially over the winter months in colder areas of the country. Kinkead says it’s important for owners and managers to lead by example when training employees on equipment maintenance. The result is employees who take ownership and pride in that equipment. Dan Shiplov, new product sales consultant for PermaGreen, says his No. 1 maintenance tip is to blow off machines rather than spray them down with water. “When you start getting into the equipment with water, especially from a pressure washer, it starts to activate that fertilizer and starts eating away around the engine and the transmission,” Shiplov says. He also recommends not leaving fertilizer in the hopper overnight. Though LCOs should refer to equipment operation manuals for product-specific maintenance tasks, Kinkead and Shiplov offer a few tips to keep spreader-sprayers in tiptop condition. Check springs on the engine — make sure they have good tension and aren’t becoming corroded. Check that belts aren’t worn. Check tires’ air pressure and inflate above PSI on tires before storing.